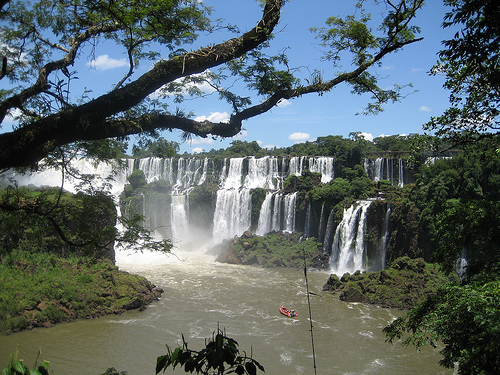 Rafting takes on a new definition when you are in the Iguazu Falls National Park. The Iguazu river offers opportunities to jump in a big rubber boat and paddle your way through the world’s largest waterfalls. One specialty rafting ride will even take you beneath the falls for a quick shower. This rafting experience is a one of a kind that you will not likely forget. This page rendered in 0.497 seconds.